A Pakenham retail asset with a premium lease covenant to Dan Murphy’s and significant development potential is on the market. Colliers International’s Tom Noonan and JLL’s Stuart Taylor and Stephen Bolton have been appointed to sell 8 Portobello Road in Pakenham. Agents expect the property to attract interest in the vicinity of $8 million. The 1,216,000sqm site incorporates a 1,438sqm Dan Murphy’s (Woolworths Limited) liquor outlet alongside 5,750sqm of vacant land, ripe for immediate development. Mr Noonan said the offering represented an “exceptional opportunity to acquire a strong performing retail asset with Australia’s premium lease convenant, Woolworths Ltd”. “The property represents an excellent investment opportunity with significant further development potential, making it appealing to both the investor and astute developer alike," he said. “This is a highly strategic site in a growth suburb, with an enormous frontage of 138sqm to Princes Highway and high profile neighbours including Coles, ALDI, Bunnings, Masters, Officeworks and many more. 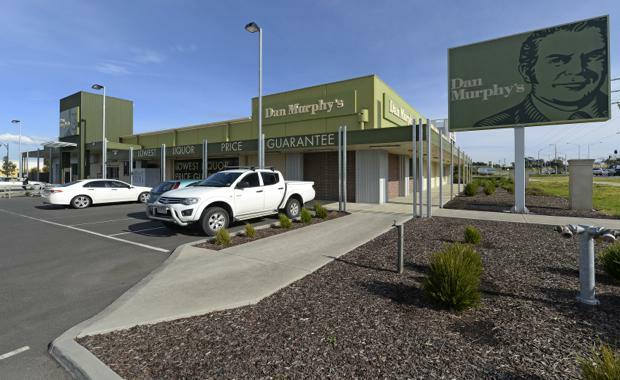 “The Dan Murphy’s store and associated car parking occupy approximately 6,410sqm , or 53 per cent, of the total site. The Dan Murphy’s is a modern free-standing building serviced by approximately 83 at-grade carparks. Mr Taylor said it was a strong performing store with proven trading history and a significant passing income of $400,000 per annum (plus GST). “The 15 year lease to Dan Murphy’s commenced in June 2011 with options until 2056 and the store is forecasted to hit turn-over rent within 12 months,” he said. “The store is situated within a robust trade area with package liquor expenditure growing at an average of 8 per cent per annum until 2026. “Pakenham is a predominantly residential suburb approximately 55km from the Melbourne CBD in Melbourne’s rapidly developing south-east growth corridor. It is home to an estimated at 65,290 residents in 2015, with population projected to increase to 107,840 by 2026 – a very strong average growth rate of 4.7 per cent per annum over the forecast period.